Don’t see your precise market listed here? We’ve still got you covered as Screenflex Portable Dividers can be found solving space and time problems in family entertainment centers, assisted living communities, hair salons, convention centers, sports stadiums, airports, museums, art galleries, amusement parks, dance studios, palaces, community centers, TV studios, performing arts theaters, casinos, libraries, cruise ship terminals and yes, even on cruise ships themselves and more. Today well over 1,400,000 Screenflex Room Divider panels are serving customers around the world. Six heights, six lengths and dozens of eye-pleasing colors from which to choose. How we’ve helped facilities like yours. Browse through these real life examples of institutions using our room dividers to solve their individual needs. Why have so many Facility Managers invested in Screenflex? 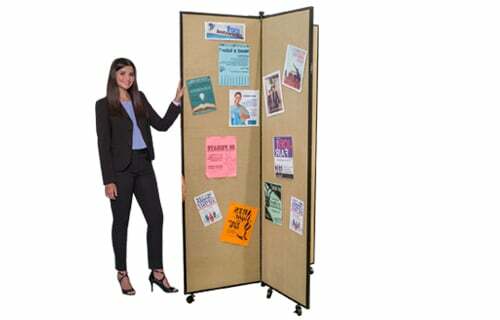 Our portable partitions not only serve as acoustic room dividers to create a much quieter environment in small to large businesses, but also provide you with a versatile way to display items. Regardless of which line of versatile Screenflex room dividers are your choice to better manage your facility, all of our dividers are made proudly in our United States of America. 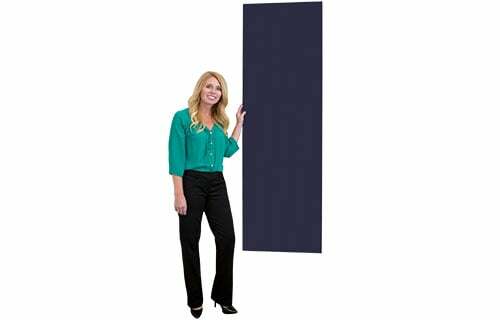 Quality parts + state of the art manufacturing facility + USA craftsmanship = safe, sturdy, long-lasting portable room dividers. This thinking has earned us Patent # 6892784…Stabilized Portable Room Divider. We believe managers should invest their time managing their business. Accordingly, Screenflex ships all of our portable room dividers 100% assembled and ready to use so you can focus on other tasks. We offer 30 fabric colors in 3 different patterns and 8 additional vinyl color selections. Only Screenflex gives you such a wide variety in portable room divider color selection. All of our room dividers not only easily glide into place using ball bearing, self- leveling caster technology, but also fold compactly for storage into an area about the size of an office chair.